Spent too much on Christmas shopping? New Year’s Resolution: Spend less! Ate too many holiday sweets and savory treats? New Year’s Resolution: Eat less! But wait… we all know where the belt-tightening road leads. You tell yourself “no, no, no…” every time you see something fun you’d like to buy or something special you’d like to eat. And at some point you break. You just can’t handle all those “no’s” any more. So you binge — you go on a shopping spree and break the bank, or you eat a huge juicy burger and break your diet. But what are you really after? Is it to follow a strict diet and lose the proverbial 10 pounds? That could be really oppressive. Or is it simply to be healthier? Probably, yes. In that case, why not start saying “yes” to all the delicious healthy things you can eat? At my home, we grew about 10 different kinds of multicolored lettuce this summer. 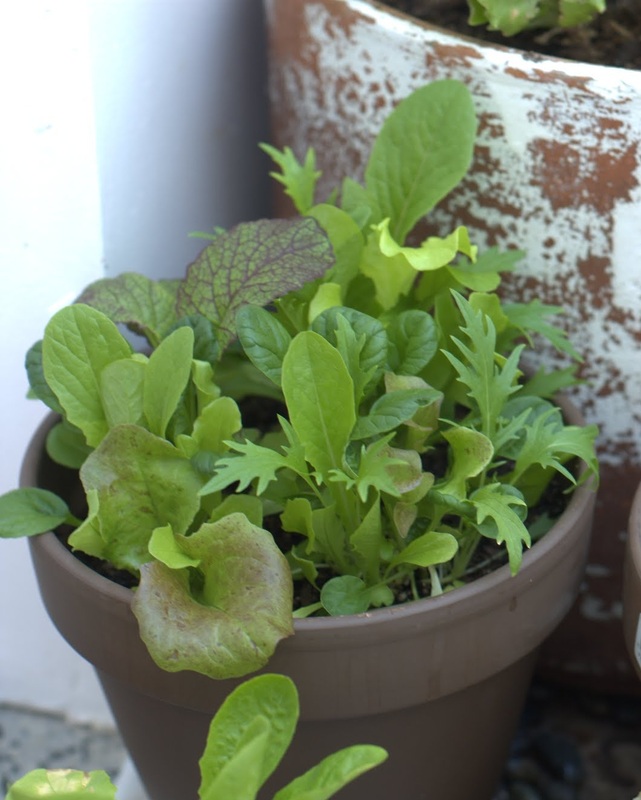 As it turns out, we ate a lot more salad this summer simply by saying “yes” to all those fast-growing little lettuce plants. We didn’t say “no” to burgers — we still grilled plenty — but we probably ate less since we were already full of salad. By actively choosing things to say “yes” to, there was naturally less room for the things we might otherwise say “no” to. Now, what if your budget worked the same way? Instead of focusing on things to say “no” to, why not focus your budget on the things you want to say “yes” to? Maybe it’s more important to you to take a vacation than to go to the movies so often. Instead of simply trying to say “no” to Entertainment, think about what kind of vacation you want to say “yes” to. Then, make an Annual Envelope for Vacation, and move a bit out of Entertainment to make it happen. In fact, on those nights you would otherwise have been at the movies, start planning your vacation or doing a side gig to save up. Yes, you’ll be spending a bit less on certain things, but you’ll get to spend more on things you really care about. Because that’s going to be what keeps you motivated to stay on budget — planning that vacation and enjoying it with your loved ones. But what if you really have less to spend this year? The same thing still applies. Decide what’s most important to you to do this year, and plan to put your money toward those things first. You may need to dial it down in other areas, but you’ll still get to do what’s important to you — and enjoy that! So, let’s go out there and make this the Year of the “Yes” Budget! This is exactly what led me to EEBA – the realization that I was saying “no” to things I could theoretically afford because I was spending money that I had not consciously said “yes” to. Really true. It’s important to take concience of the expenses that are not really adding up to the “yes” column and start to realize and remove them to leave space (or better said MONEY) to the real YES! Thanks for the great app, at the end of the month I really get a YES, and if not there, at least I get a “not this month”, but will shift track next month.